Founded in 1912, Greenville Health System, LLC (GHS), is South Carolina’s largest healthcare provider, with a payroll of 15,000 people, including more than 950 physicians on staff. Headquartered in the city of Greenville—between Atlanta and Charlotte—the not-for-profit company formerly known as Greenville Hospital System, Inc. today operates hospitals, emergency centers, physician practices, and specialized facilities that span a range of services. These include cancer care, children’s care, nursing, heart and vascular care, medicine, orthopedics and neurosurgery, radiology, primary care, rehabilitation, surgery, and women’s health, as well as pharmacy. The Greenville Memorial Medical Campus is a designated 24-hour Level I Emergency Trauma Center and the only Level 1 Trauma Center for Children in South Carolina. Given its importance to the people in this rapidly growing region of the country, GHS needs to keep its communications systems up and running 24/7 every day of the year—without paying a high premium to do so. For this reason, in 2016, when it was time to find a maintenance and service provider for its Nortel and Avaya systems, GHS turned to the service provider with more healthcare expertise than any competitor: Continuant. 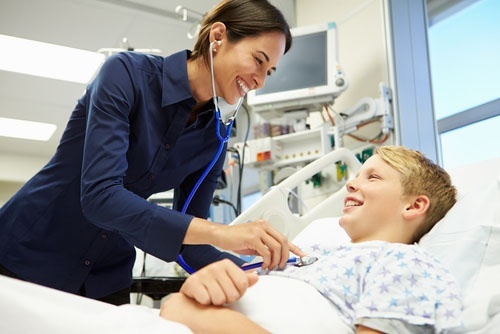 Not only does Continuant augment GHS staff with two full-time technicians; we also support the health provider’s 20,251 Nortel and Avaya legacy system users. Initially planning to work with Continuant only until the Nortel and Avaya systems are replaced GHS reports it is so pleased with Continuant’s service and expertise that it plans to look to Continuant for future support of its Cisco systems after the migration to Cisco is complete.